Dominic's Journey, Mom's Journal: People!!! A giant huge first!!! People!!! A giant huge first!!! 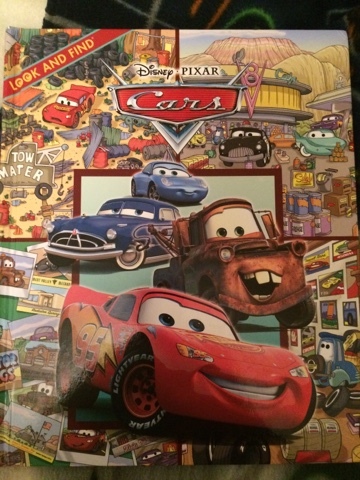 Last night this CARS book was the one that Dominic wanted me to read to him. I didn't expect much. He attended to the ENTIRE book. 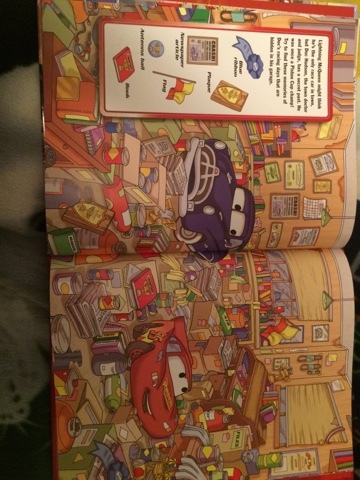 He found EVERY single thing (there's a page that has different kinds of tires in Luigi's shop, for example), and he stuck with it for the entire book. HUGE GIANT FIRST!!! He paid attention. No distractions. It was actually enjoyable to sit with him and actually read through the book instead of spending the time trying to get his attention. I am entirely blown away. And, yet another sign that he is *almost* reading.